Clay has been a member of mParks since 1997 with more than 20 years of experience in the profession. He sat on the mParks Board from 2013-2017, serving as President his last year. 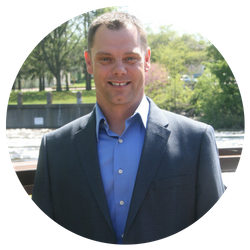 Clay comes to mParks with a degree in Outdoor and Environmental Recreation from Central Michigan University and most recently serving as Executive Director of DeWitt Area Recreation Authority for six years, followed by the Director for Eaton County Parks & Recreation from 2014-2017. Clay currently lives in Portland with his wife and three children and enjoys camping, fishing, hunting, and traveling around the great state of Michigan with his family. Justin joined mParks in September 2008 after having served as the Community Education Director for Charlotte Public Schools. 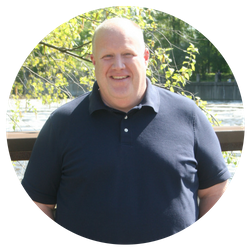 He also worked as a Recreation Coordinator for Burlington Parks & Recreation in Vermont and as a Recreation Programmer for Novi Parks & Recreation after receiving his bachelor's degree in Recreation Management & Policy from the University of New Hampshire. Justin manages mParks statewide programs and serves as the staff liaison to several committees. He currently resides in Williamston with his wife and three children. 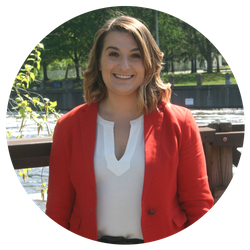 Tina originally joined mParks in 2012 as a communications intern, transitioning to a full-time role as she finished her degree in Journalism and Public Relations from Michigan State. After more than two years with mParks, Tina explored the political world as a Field Organizer for a statewide campaign and then took over as the Communications & Community Outreach Specialist with the Michigan Coalition Against Homelessness, all while assisting mParks with special projects, including Conference. Tina enjoys running, kayaking, cooking and traveling. Aja (pronounced Asia) joined the mParks team in May of 2016. Aja's responsibilities focus primarily on membership. She also coordinates the Exhibit Hall for the Annual Conference & Trade Show and shares liaison duties for USA Softball of Metro Detroit. She received her B.A.A. in Two-Dimensional Art and Art History from Central Michigan University. She has also received an Entrepreneurial Certification from Lansing Community College. 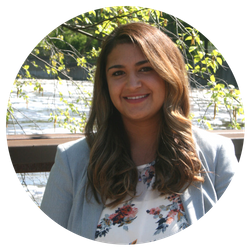 Although her previous experience was primarily focused in after-school art education, she is very passionate about the outdoors and promoting a healthy lifestyle. She also enjoys playing volleyball, traveling, baking, and spending time at her family’s lake house. 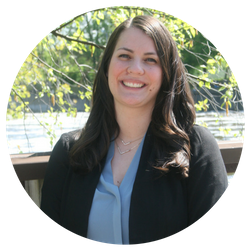 Hillary joined the mParks team in May of 2017 part-time as the General Office Support. Hillary began working full-time in September of 2018, focusing her duties in the assistance of office operations, managing the Discount Ticket Program, and sharing liaison duties for USA Softball of Metro Detroit. She takes pleasure in running, golfing, and spending time with her family. She currently resides in Laingsburg with her husband and three children.